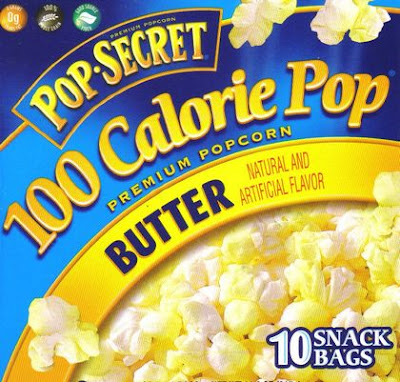 Thank goodness for those new 100 calorie bags of popcorn! I swear I'm not stupid, but I have always thought that reading the nutritional information on a normal bag of popcorn was like reading hieroglyphics. Has anyone else ever found that challenging? Or am I just special?